This unique program allows for students and teachers to learn together. Both teachers and students also become an essential part of a network of AP support and excellence. The AP Readiness Program is a great program that will benefit the student’s future so that they will have the knowledge later on for college level classes. 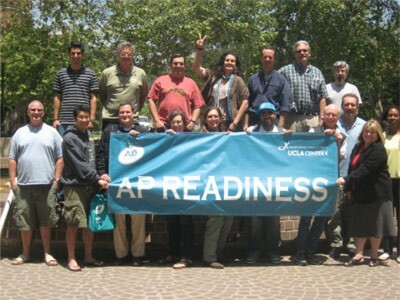 This program is hosted in UCLA and there are two parts of the program which are the AP Readiness STEM and the AP Readiness HUMANITIES. The AP Readiness STEM hosts Math, Science and Computer Science. Specific dates for STEM are September 9, October 7, November 4, December 2, 2017, January 20, February 10 , March 10 and April 21, 2018. The AP Readiness HUMANITIES hosts English, Social Studies and Spanish. Specific dates for HUMANITIES are September 30, October 28, November 18, 2017, January 13, February 3 , March 3, April 7 and April 28, 2018. Anyone can join the AP Readiness Program and there is nothing wrong with joining because the only thing you get out of it will be important imformation.